The Metal Gear Solid saga continues with the most ambitious instalment yet. 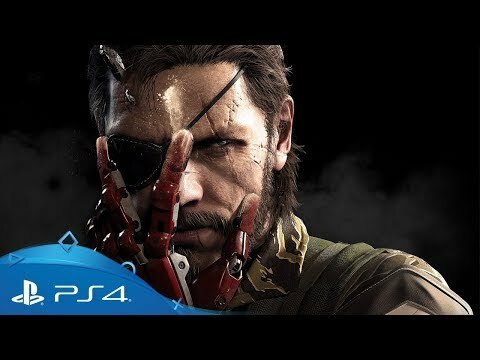 Nine years on from the events of Metal Gear Solid V: Ground Zeroes, Snake – now assuming the role of Big Boss – comes round from a lengthy coma. Mother Base, the headquarters of Militaires Sans Frontières and Snake’s base of operations, has fallen and Snake has a ten-year hole in his memory. Against a Cold War backdrop, Snake is all too aware of the need for vengeance and, more importantly, answers. Approach thrilling missions in any way you desire, soak up Hideo Kojima’s cinematic vision and track down the shadow group XOF in one of the most anticipated titles on PlayStation 4. Snake is back in the latest installment of the Metal Gear Solid saga. A half-scale replica of Snake's bionic arm. Downloadable content, such as the Windurger S333 Combat Special Revolver and Rasp Short-Barreled Shotgun Gold. Exclusive costumes, emblems and shields. With Metal Gear Solid V as part of the PlayStation Hits range, you can pick up this fantastic stealth based action-adventure for a wallet friendly price – along with a huge selection of other PS4 titles.